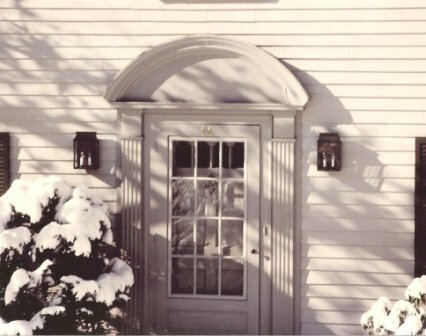 At Hammerworks we make our New England Wall Lantern completely by hand in the USA. First of all we employ the same skilled techniques of hand bending and soldering the metal as our colonial New England forefathers. 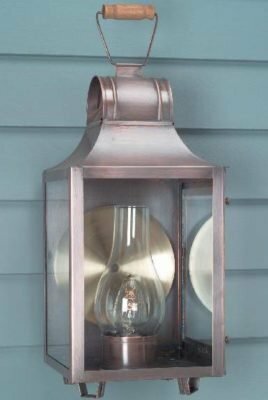 Due to this attention to detail and quality craftsmanship it is guaranteed that you are receiving a fine heirloom quality lantern. 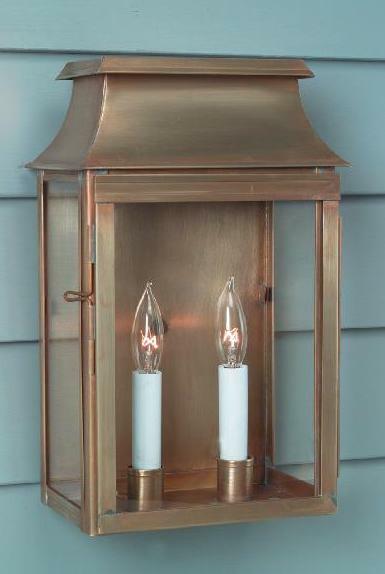 Consequently these New England wall lanterns will illuminate any doorway to your colonial home for years to come. 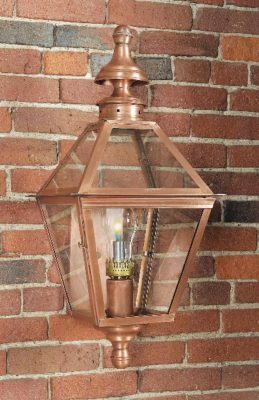 Also we handcraft each of our wall lanterns in a choice of solid copper or brass. Hence this insures that you will consistently receive a solidly built wall light. Most of all the attractive design enhances the aesthetic value of any New England architectural home design.